Pastor and Spirit-filled Evangelist Donnie Swaggart of Baton Rouge, Louisiana, is well known for his Bible based teaching and fiery preaching style throughout the world! Whether teaching as the Co-Pastor of Family Worship Center Church or leading "Holy Spirit Night" Campmeetings, Brother Donnie has been blessed with the ability to reach people of all ages and walks of life with God's Word! Donnie's regular appearance on critically acclaimed Sonlife Broadcasting Network programming proves to be a viewer favorite every day! Many believers from across the country and around the world came to know Christ at their local church through Donnie Swaggart Ministries Meetings. As always, Donnie's thought provoking teaching and preaching style leaves no doubt about God's Word on subjects challenging the world today! 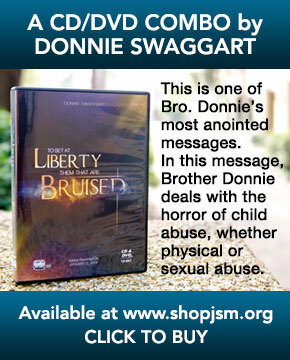 Through this website, you can view a list of Donnie Swaggart's Meetings, peruse Donnie Swaggart's Articles, View Photographs from Donnie's Meetings, and by all means, Sign Donnie's Guestbook! 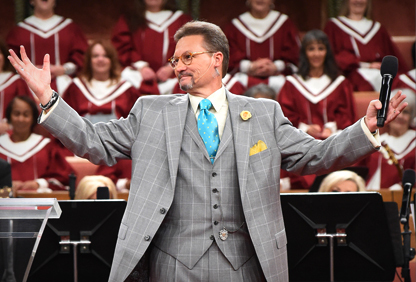 Thank you for visiting the Donnie Swaggart Ministries, and we invite you to come worship with us any time you are in Baton Rouge, Louisiana, or on our TV and Internet Church through Sonlife Broadcasting Network! in cities throughout the U.S.A.
Donnie Swaggart's new series of programs about the part that preachers, patriots and providence have played in shaping American history.